This week, Your News to Know delivers the hottest news topics involving finance and the gold market. Stories include: Gold’s bullish trajectory is set, gold becomes safe haven darling amid Trump uncertainty, and some gold statistics that will blow you away. According to a report by Rachel Koning Beals, higher inflation expectations and safe-haven demand over uncertainty caused by the Trump administration could give gold at least another 5% of upside this year, which is on top of the 5% already gained in January. A recent survey of forecasters by the London Bullion Market Association saw that $1,244 is the average expected price for 2017, with some analysts predicting the metal will climb as high as $1,379. Joni Teves, who is considered the biggest gold bull on the LBMA list, placed the metal at $1,350 this year. The UBS precious metals analyst downgraded from an even more bullish position as his firm wanted to accommodate market sentiment. The report also notes that gold looks even better from a long-term perspective. Most analysts agreed that inflation is a sleeping giant that is now waking, which would make gold an invaluable hedge. As the surveyed analysts explained, gold’s appeal as a safe-haven asset is undeniable. 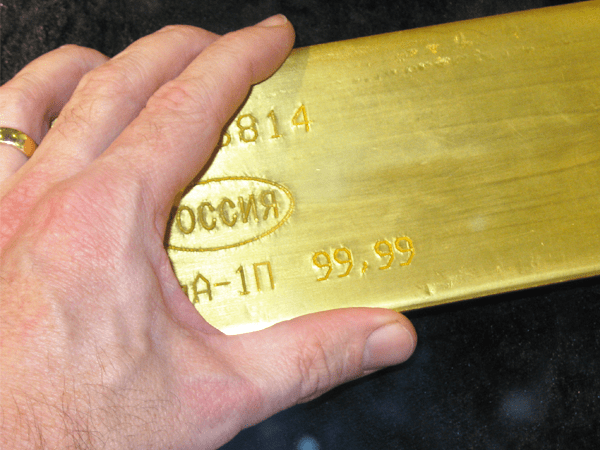 The LBMA survey’s commentary underlined how this kind of geopolitical uncertainty helps gold. “2017 will certainly be an eventful and unpredictable year given the high degree of geopolitical uncertainty, with a more nationalistic U.S. president in residence and the indications that the U.K. will pursue a hard Brexit in its negotiations with the European Union,” said the commentary, adding elections in France and Germany and potential tensions between the U.S. and China to the growing list of catalysts. Following the recent Trump-fueled stock market rally, several of Wall Street’s largest fund managers have placed a bet on gold. Money managers from IVA, Ridgeworth and Fidelity aren’t necessarily convinced that the Trump rally has legs. Examples of this are Trump’s recent comments about currency devaluation, which kept the dollar on course for its worst start in a decade. The comments have also recently helped gold rise. Others, like fund manager Richard Bernstein, continued to value gold’s anti-inflationary properties above all else. In anticipation of higher inflation driven by rising wages, Bernstein, who oversees $3.6 billion as head of Richard Bernstein Advisors, ushered into the presidential election with more exposure to gold. “If you think inflation is going up, you want to hold real assets,” he explained. Motley Fool’s Matthew DiLallo recently outlined some interesting gold facts that even the metal’s bulls might not be aware of. For starters, America ranks as the world’s top gold hoarder, with 8,133.5 tons of gold in vaults across the country. The nation’s stockpile is even more impressive compared to other nations, as it has more official gold reserves than the next four largest gold holders combined. To put things into context, the article notes that while global gold miners produced a record of $3,155 tons of gold in 2015, it was still only a third of America’s reserves. Its value is equally as imposing: assuming current gold prices at $1,200 an ounce, the United States’ 261.5 million of ounces are worth around $314 billion. DiLallo also points out that the market is massive in spite of gold’s scarcity. While the value of all of the gold ever mined reaches $9.6 trillion, only 170,000 ounces have been mined. Spread across Earth’s ever-growing population which currently sits at 7 billion, each of the planet’s inhabitants would get 24 grams of gold, enough for some five golden rings.